I usually don’t blog about new releases of management packs or similar things, but this time I feel I have to do so. If you have been working for some time with SCOM, you know there is a (long) history behind authoring MOM/SCOM management packs. Back in the days where MOM 2005 used to rule the monitoring world, you had these AKM management pack files which could not be changed or authored outside of MOM. In 2007 when SCOM 2007 was released, Microsoft changed that concept to the sealed (MP extension) / unsealed (XML extension) management pack concept which is still valid up to this point. In the same wave Microsoft released the widely loved Authoring Console which was a GUI driven approach and more or less intuitive to work with for an IT Pro. 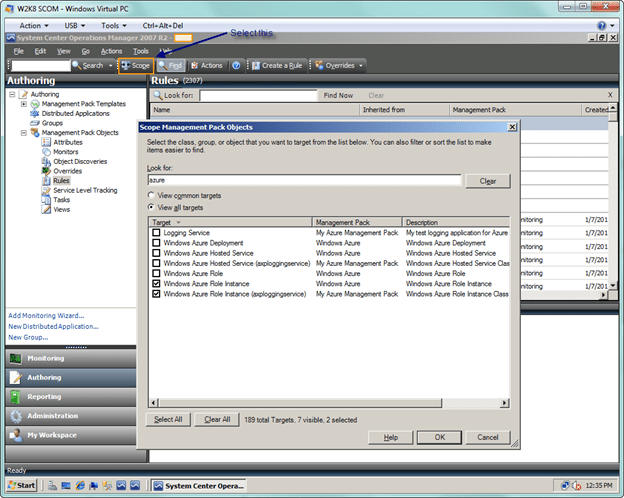 In 2009 the next version of SCOM 2007 R2 was released and it also included a newer version of the Authoring Console which was included in the System Center Operations Manager 2007 R2 Authoring Resource Kit which also included MP Best Practice Analyzer, MP Spell Checker, MP Visio Generator, MP Diff etc. to make your MP authoring experience a bit more comfortable. 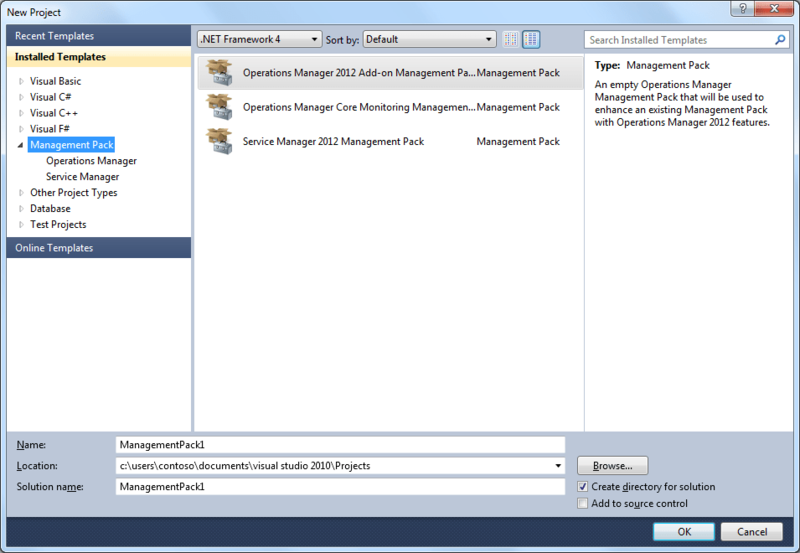 3 years later in 2012, Microsoft released SCOM 2012 and also a new way of authoring management packs – Visual Studio Authoring Extensions for System Center Operations Manager were born. The downside of VSAE was / is that it is focused on experienced IT Pros or MP developers, but not for an average SCOM administrator because of the MP authoring knowledge needed – “You need to know what you do”. Microsoft’s answer to this problem was a huge flop, called System Center 2012 Visio MP Designer VMPD and was an add-in for Visio 2010 Premium. 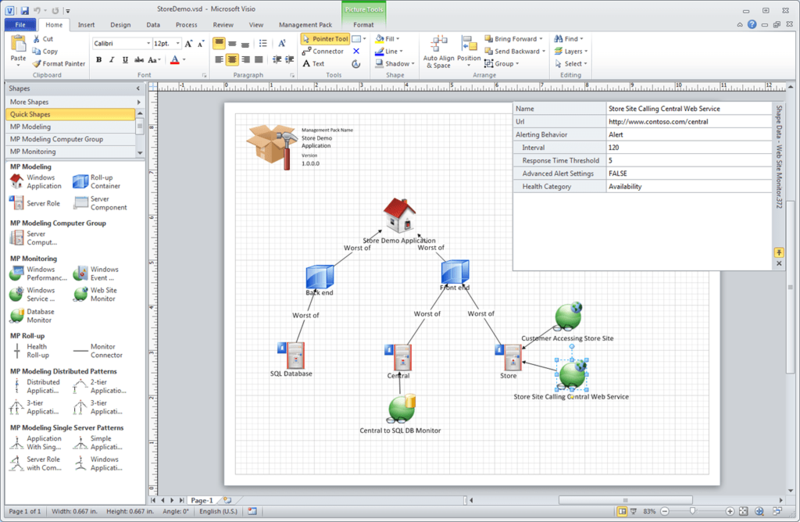 The idea behind was, to author MPs in a graphical way, utilizing Visio as a graphical interface and by pressing a button the MP was pushed to SCOM. This way of authoring was very limited by some basic monitors, rules and health model. Some time later, Microsoft discontinued to invest in this tool and started a co-operation with Silect, to build a free “successor” of the former Authoring Console called Silect MP Author. This tool was / is meant for the IT Pro who gets wizard driven support for authoring management packs. In its first version, MP Author was a kind of buggy and also some basic functionality like editing an authored MP, PowerShell script support etc. which was fixed in the later released service packs. The current version of MP Author is MP Author SP 5 . In the mean time Microsoft released support of Visual Studio 2013 for Visual Studio Authoring Extensions 2013 for System Center Operations Manager. Which was basically only a compatibility support release for Visual Studio 2013. Up to the year 2015, not much changed and soon Visual Studio 2015 was released. The problem was that the Visual Studio Authoring Extensions 2013 for System Center Operations Manager was not supported. Microsoft did NOT even consider supporting Visual Studio 2015 and any new version of Visual Studio! In summer 2015 Microsoft released a UserVoice questionary asking for feedback on any SCOM topic and the community feedback was that strong and powerful, that Microsoft decided to release a new version of Visual Studio Authoring Extensions 2015 for System Center Operations Manager which supports Visual Studio 2012/2013/2015 (all editions) . The release date was yesterday :). I am very happy with this decision and this short history lesson shows you, how Microsoft listens to you and it also shows you how strong the community feedback can be. It even can steer the US Titanic a little bit in its direction. Thank you, Marthijn, have a nice weekend! I created a UserVoice for VisualStudio 2017. If you like, please vote.